Das Design der Palette ist eher schlicht, aus Pappe aber sie fühlt sich samtig an. 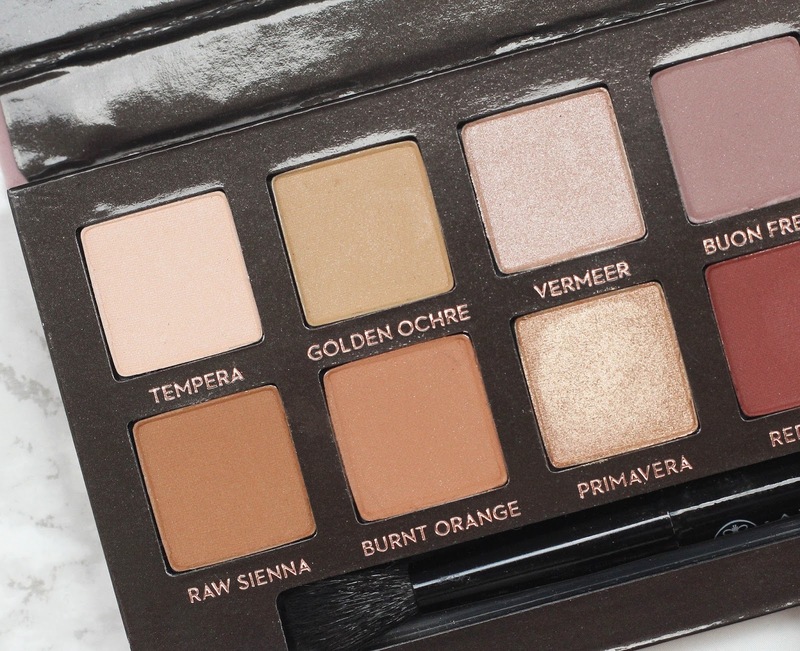 Ich finde es cool, dass die sich samtig anfühlt aber meine letzte ABH Palette sieht voll versifft aus und eine bessere Verpackung wäre so viel besser! Darin ist dann noch ein Spiegel und ein Pinsel den ich richtig gut finde! Dennoch benutze ich aber meine Sigma Pinsel. Die Palette beinhaltet 14 Lidschatten, hauptsächlich matte und ein paar schimmernde. The design of this palette is really lame, they used cardboard! The only cool thing about the packaging is that this palette has a velvety feel. I simply don't get it if a pricey company use cardboard for make-up. There is a mirror inside and also a brush which I really like! But I still use my Sigma brushes. This palette contains 14 shades, mainly matte ones and some with shimmer. 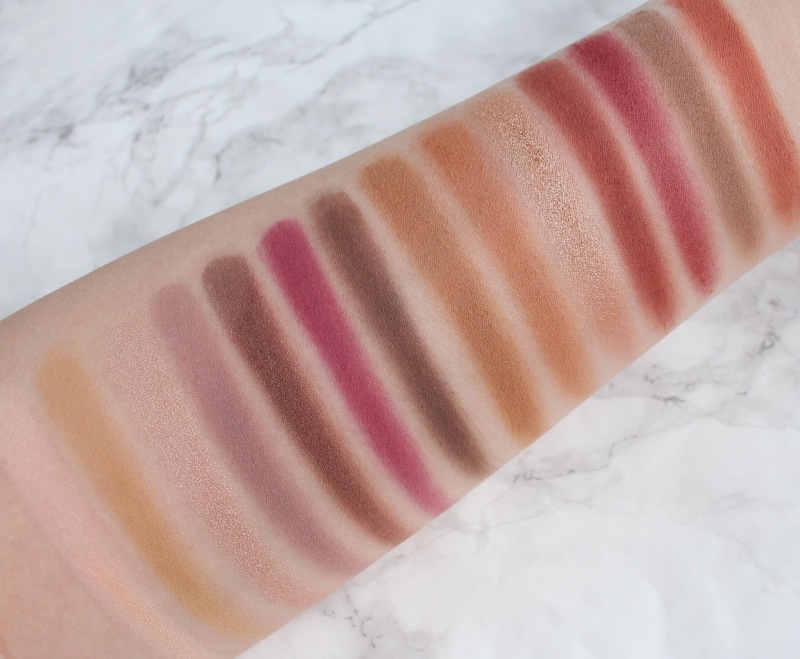 Das ist so eine Palette wo man alle Farben benutzen wird, man hat neutrale Töne und die verrückten Töne wie ein pink, rot oder orange. Ich finde orange und rot betonen extrem braune Augen. Morgens kann ich mich sogar nicht entscheiden welche Farbe ich benutzen will. ^-^ Die Farbabgabe ist der Wahnsinn, ich muss mit den Pinsel die Lidschatten nur ein bisschen berühren, denn die sind extrem gut pigmentiert! Die Lidschatten lassen sich auch gut auftragen, krümeln nicht und halten bei mir ca. 10 Stunden bis meine Lider leicht ölig werden und sich der Lidschatten so langsam absetzt. This is a kind of palette where you will use every shade from it. There are neutral shades and some crazy ones like pink, red and orange. I think orange and red really emphasize brown eyes. In the mornig I can't even decide which shade I will use. ^-^ The color output is amazing, I just have to touch the shadows slightly with a brush because they are extremly good pigmented! You can apply the eyeshadows really good, they not crumble and last on my lids for about 10 hours until my eyelids slightly get oily and the eyeshadow starts to settle slowly in the lids. What else can I really say?! I love this palette so so much. I would even wear it for the rest of my life. The shade composition is simply brilliant. Since a really long time I am again enthusiastic about eyeshadows . ^-^ The Modern Renaissance palette is now available in the standard range of ABH and costs about € 50. Die Palette sieht so wunderschön aus und ich bewundere die ganzen Looks damit. Ich kann sie mir bei mir selbst jedoch nicht vorstellen, da die Farben mir zu intensiv sind ;-D. Sie ist dennoch ein Schmuckstück und Hingucker. 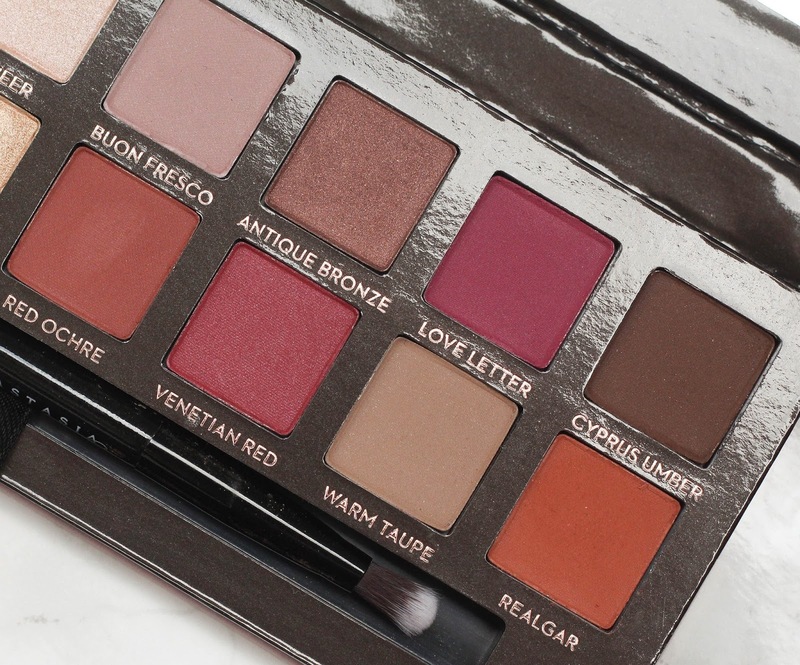 This palette is absolutely gorgeous. My boyfriend got it for me a while ago but I still haven't had the chance to REALLY play with it. Ich wollte mir die Palette zunächst auch holen, war mir aber wegen der pink Töne nicht ganz so sicher. Du hattest wirklich Glück die noch zu ergattern!